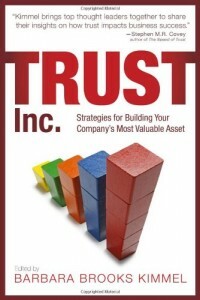 Much has been written recently about trust. Not so much, however, about just exactly how it gets created. Think of it as a dance—the dance of trust. Trust is the end result of a dance between two people. Like ballroom dancing, the roles are not the same. In ballroom, one person leads, the other follows. If each plays his her role, it’s a beautiful thing. If, however, both people try to lead, you get feet stepped on and general ill will. Trust also has two differing roles. One is the role of trustor—the one who does the trusting. The other is the role of the trustee—the one who is (more or less) trusted. And just like in ballroom, if the roles aren’t played cleanly, you get something of a mess. (And if both follow, well, you get nothing. No risk, no gain). The dance of trust is initiated by the trustor—the one who does the trusting. It is (s)he who takes the first step—and the one who takes the biggest risk. 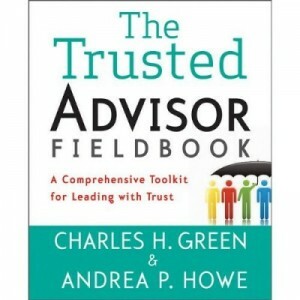 By contrast, the trustee role (being trustworthy) is low-risk, but requires more work. It’s also more passive; being trustworthy is a strategy of attraction, not action. BioPharm is the trustor, initiating the dance and taking the larger risk–the risk of time, money and commitment spent on a new relationship. Jones&Jones is the trustee, having been (successfully, in this case) trustworthy enough that it got asked to dance. At this point, we have to lose the pure ballroom dance metaphor, because in trust, the roles have to change. In ballroom, one person generally leads. Not so in trust: you have to swap roles constantly. So if not during the sales process, then shortly thereafter, Jones&Jones is going to have to take some risks and trust BioPharm. If Jones&Jones doesn’t go out on a limb with some ideas, share its technology, offer a point of view, prepare to collaborate and be transparent, then BioPharm will pretty quickly be unsatisfied. Because once the initial trustor action is taken, it is up to the trustee to reciprocate, and offer to take some risks as well. This frequent change of roles—back and forth—is what distinguishes the dance of trust. If Jones&Jones never takes a risk or trusts BioPharm, it will wear out its welcome quickly. And if Jones&Jones does take risks but BioPharm never reciprocates, it may be a mildly successful engagement, but it’s not likely to generate repeat business. Here another metaphor applies: personal relationships. No good relationship lasts long (or stays healthy) if one side always gives and takes the risks; any good relationship needs the healthy back and forth provided by reciprocity. Trust is, after all, a mutual relationship. But it is one generated by constantly shifting roles. The dance of trusting and being trusted is what generates the state of trust we hear so much about. It's very hard for people to lose weight; the dilemma of change management looks about the same.